We came across this 1944 advertisement from B.C. Electric (the forerunner to B.C. Hydro, which ran B.C. public transit systems before the formation of B.C. Transit), showing the types of buses and streetcars which B.C. Electric planned to introduce in B.C. cities. 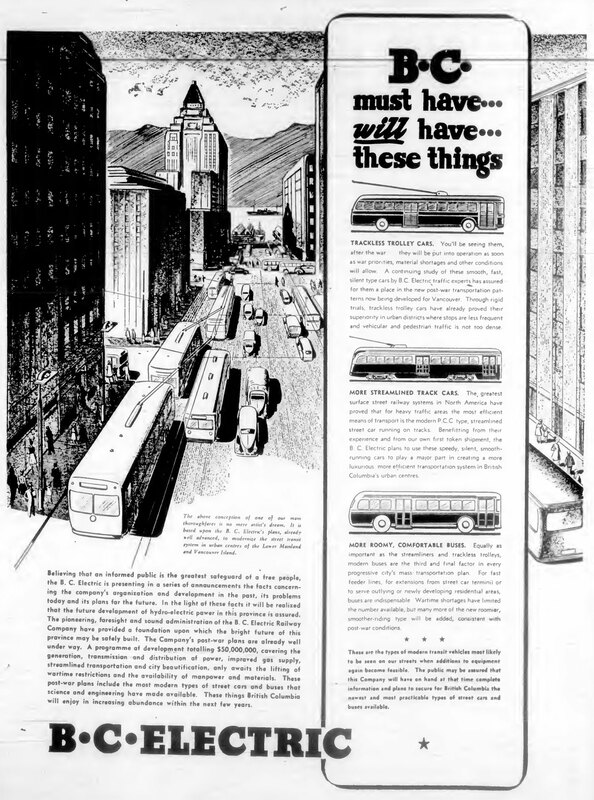 Notice the “Trackless Trolley Buses”, which are still operating in Vancouver.